What Do Gen Z Employees Really Want? Find out what their motivations and values are in the workplace. Gen Zs now make up almost 30% of Singapore’s resident population. The oldest of this generation are now entering the workplace. 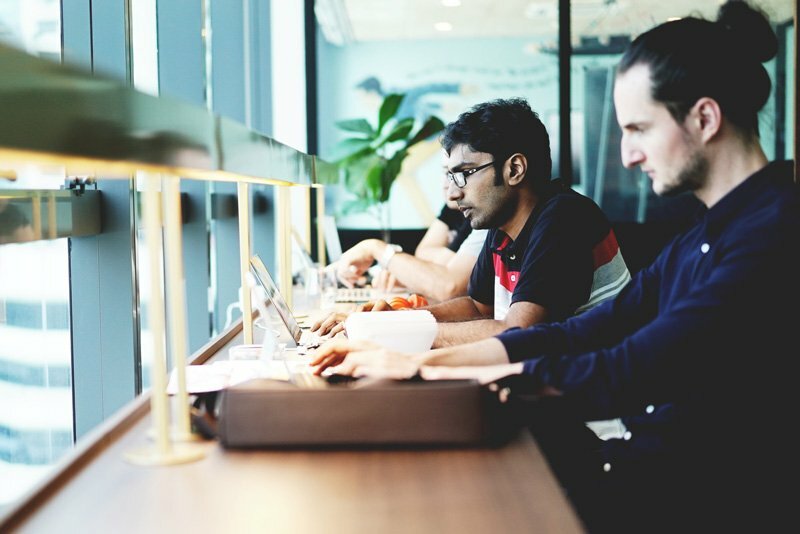 Little is known about Gen Z as employees and nearly half of all Singaporean employers say their workplace is not ready for the demands and expectations of Gen Z. "Gen Z are too fickle," they say. "They prefer to work from home as freelancers. They have too many demands." So how can your company engage with this emerging generation in the workplace? We partnered with Halogen Foundation to find out how the next generation of Singapore leaders - Gen Zs, are likely to influence the communities we live in. The findings from the survey uncover the motivations and values of Gen Zs in the local context and what these emerging trends mean for businesses hoping to capitalize on the generation’s talent. Gen Zs in Singapore are intrinsically motivated. They want to work in roles that are personally interesting to them and for businesses that share the same values. Young Singaporeans want to work with colleagues who act with integrity and passion and have strong interpersonal skills. However, the survey reveals that they don’t believe that employers value these same attributes. And despite delaying things like getting married or starting a family, female Gen Zs still face pressure and stigma from employers. “The generations after us will continue to grow up in a much more intense and complex environment. Navigating and bridging these differences in perception, outlook and priorities will be most important for us to remain relevant and stay prepared for what the future is to bring," says Ivy Tse, Chief Executive Officer at Halogen Foundation. These differences may bring new opportunities, if we understand and adapt to these changes coming our way. It’s not about a Generation Z “problem” but a collective challenge we all have to navigate together." The spirit of giving back is on the rise. Gen Zs say that the three most important criteria for measuring success are a happy family life (77%), having a close group of friends (64%), and being surrounded by a happy community (41%) with a strong social purpose. The survey also uncovers that while Gen Zs are digital natives comfortable with online collaboration and technology platforms, they still prefer to seek education or career related advice in-person from those they trust. “The values and motivations of young people in Singapore are changing rapidly. Like their peers globally, Gen Zs here are increasingly purpose driven and socially motivated. They want businesses to be involved in making the world a better place and are more likely to work for and buy from businesses that do so. Now, it's up to businesses to step up to the challenge,” says Melanie Yap, Partner at A Very Good Company Singapore. Interested in finding out how your business can engage the emerging generation of leaders in your workplace? Find out more in the “Generation Z in Singapore” Report by A Very Good Company.